Delete calendars that are not necessary anymore. All appointments related to the deleted calendar will also be deleted. 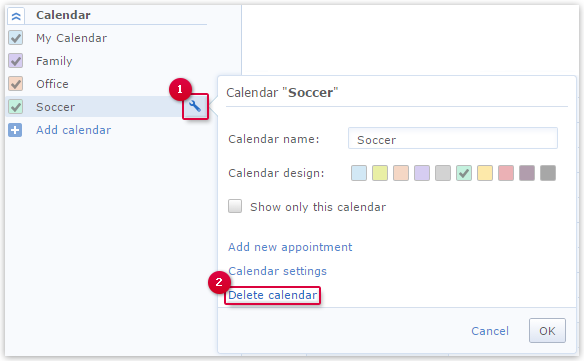 Move the mouse pointer over the calendar you want to delete. Click the wrench icon.